Let us know the sizes for the appropriate quantity ordered (0-5) and list one or two colors (see product pictures) with fade order. Remember all products are hand made and poured variations in color and patterns will always exist. This is actually the Bud Plug 2.0 with new improvements based on user feedback and molded in our new second generation process that provides super clean lines. We are super proud to bring you this new line. Incrementally spaced close enough together to take you from novice to advanced. You can buy one or save money buying a matching set. 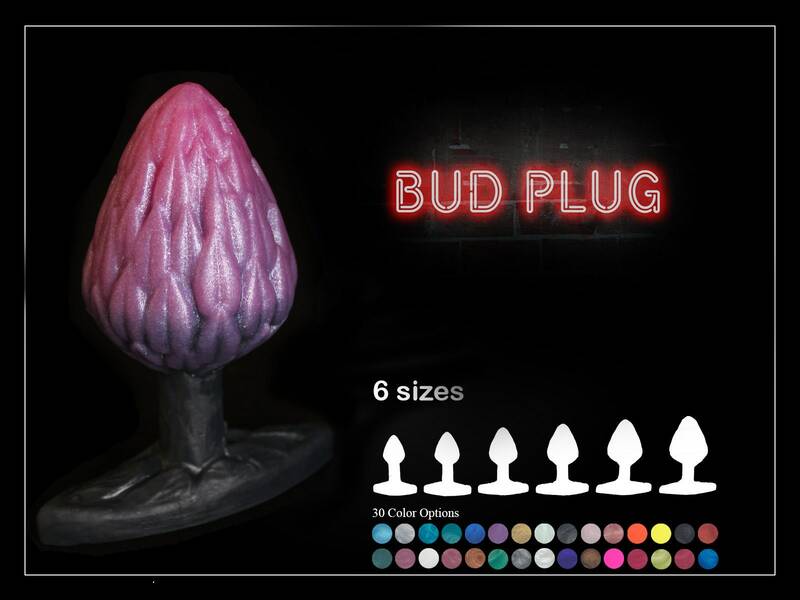 Let us hand pour you a matching set of these plugs modeled after nature. Choose one or two colors. Due to the shape we are only able to pour this as a fade with two colors at this time.